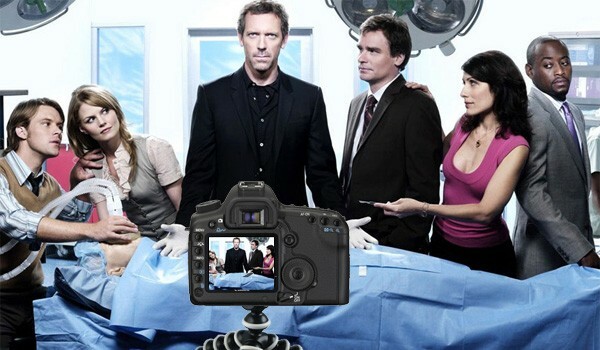 In 2010 the producers of medical drama House MD made headlines by shooting the final episode of series 6 using a Canon 5D, the first time that a digital SLR had been used in this way. Critics were impressed by the quality of footage that was achieved – not least the depth of field achieved with Canon’s EF lenses – and the film crew themselves were full of praise for the equipment that they used. Remarkably, it’s now possible to pick up a camera capable of shooting 1080 HD video footage for well under £500. Not many of us will be filming award-winning TV series featuring Hugh Lawrie, but using this kind of technology opens up all kinds of opportunities to develop the way that everyday companies think about video and web design. Website designers specialise in finding creative ways to communicate key messages. This is what underpins every component of web design. In our experience including video within a website design is a fantastic way to communicate more effectively with visitors to the website. It’s easier than ever to embed video hosted on Vimeo or Youtube, and web designers love the opportunity to work with such a clean, minimalistic form of content. The power of a 1-minute video should not be overlooked. It’s a quick and easy way to bring life, personality and engagement to your web design without having to resort to pages of content. There are almost no limitations in terms of how you use video within your website design. It’s a powerful marketing tool, giving you an opportunity to persuade potential customers that they should trust you with their business. It gives you an unrivalled opportunity to connect with your visitors, whether it’s a clip of your CEO or your newest employee. It’s also a great way to show your transparency and integrity as a company, whether your web design features video of your offices, staff or simply some ‘on the job’ footage. Video is an effective web design tool, however you choose to use it. Your homepage or ‘about us’ pages might be the obvious places, but your blog or social media pages are equally effective ways to share video, particularly if you’re simply sharing something that you’ve found online and enjoyed. Finally, video is an increasingly powerful way to develop your SEO strategy and draw more traffic. Google have recently released an Adwords for video tool giving you further opportunities to bring potential customers to your site.